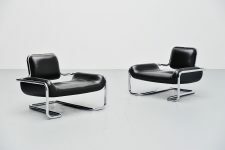 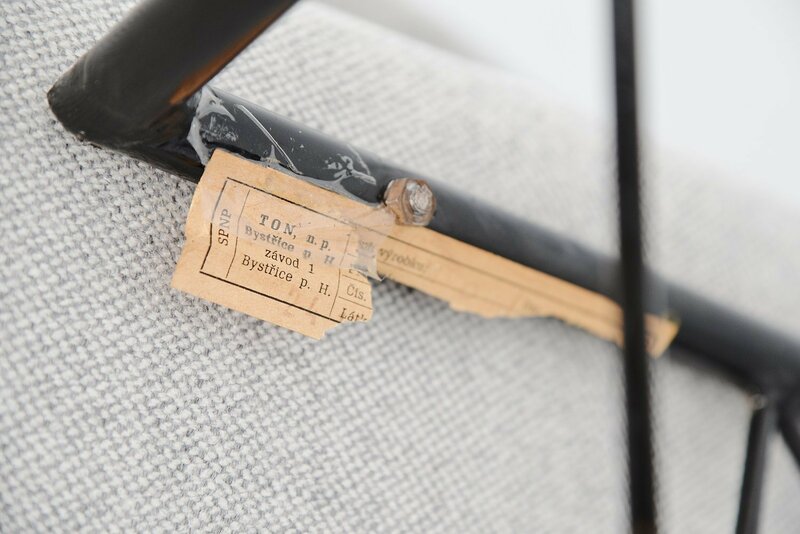 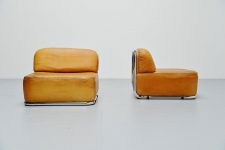 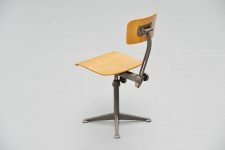 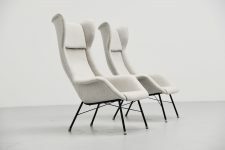 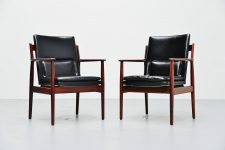 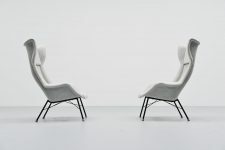 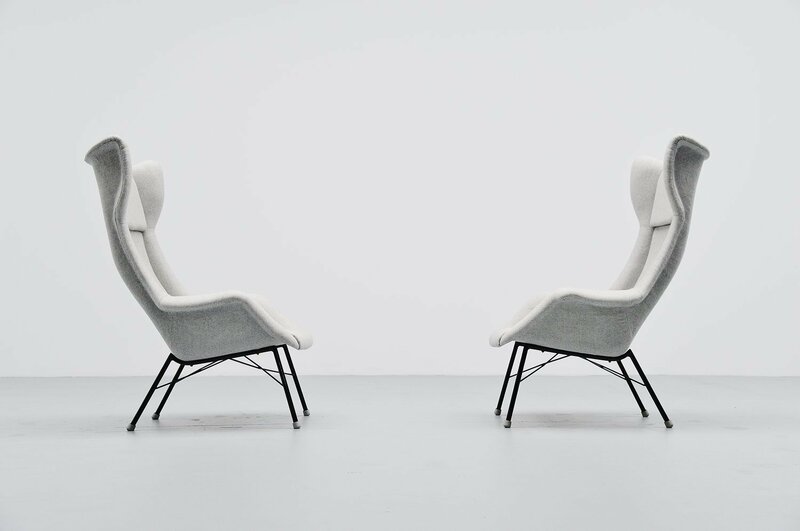 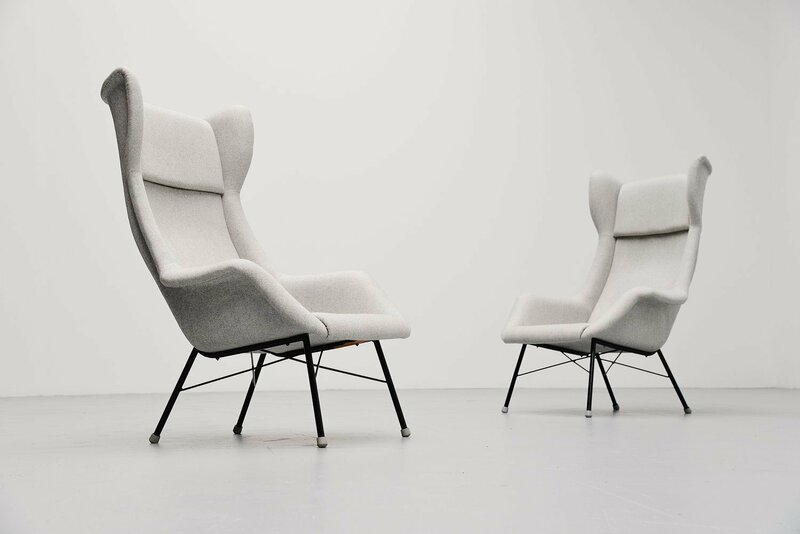 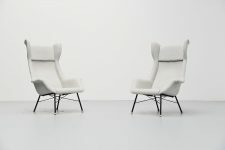 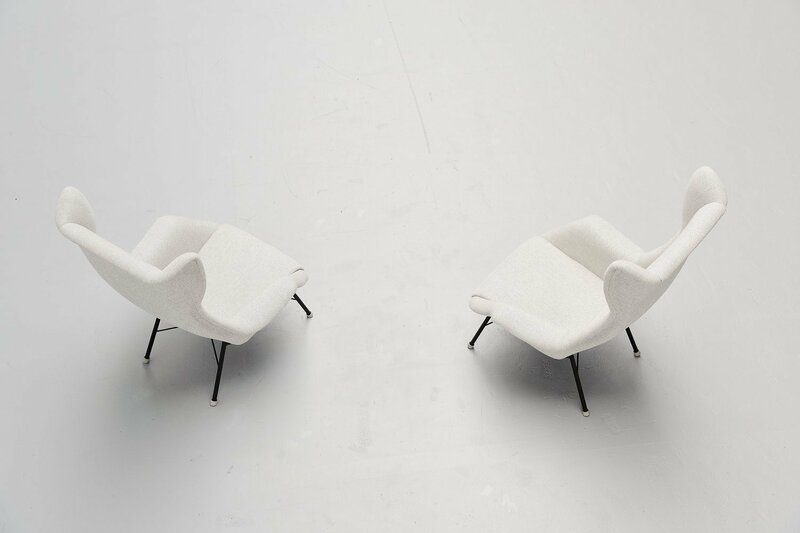 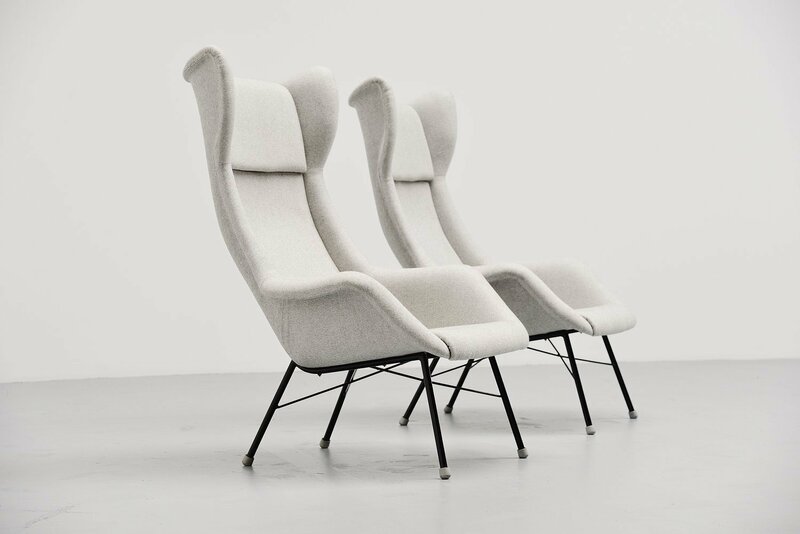 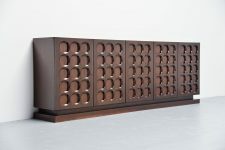 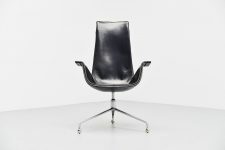 Fantastic pair of wingback lounge chairs designed by Miroslav Navratil, produced in own atelier in Czech Republic 1950. 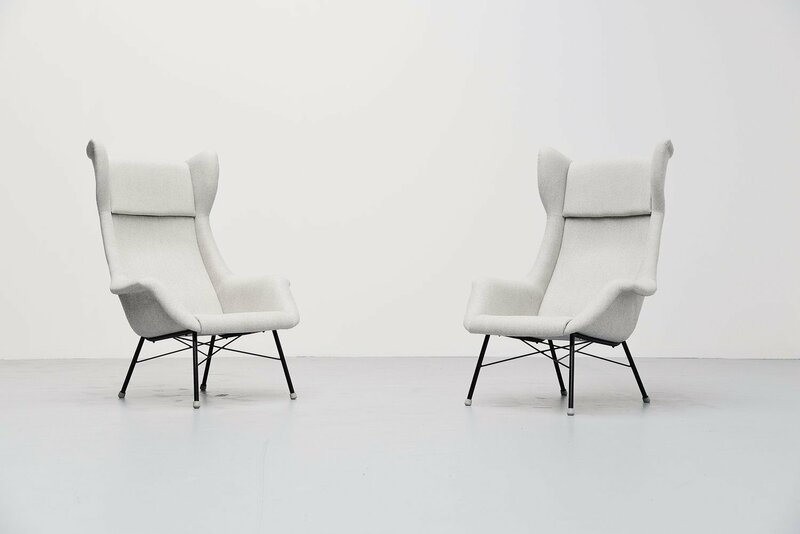 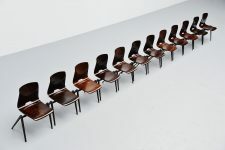 These chairs are like a mix of the Bovenkamp wingback chairs by Aksel Bender Madsen and the chairs by Augusto Bozzi for Saporiti. 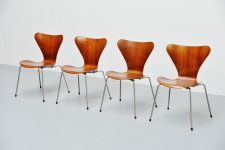 Amazing shaped chairs in excellent condition. 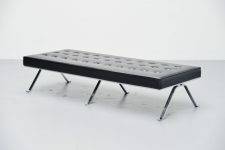 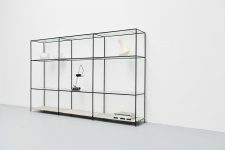 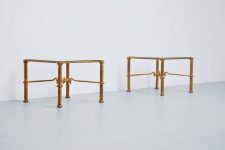 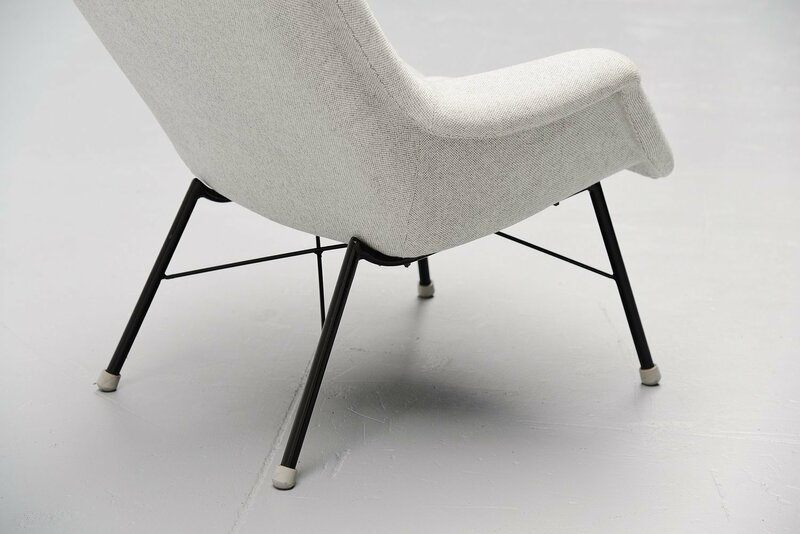 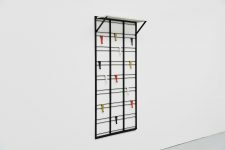 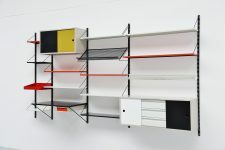 Upholstered in light grey semi wool fabric, black lacquered tubular metal legs with grey rubber feet. 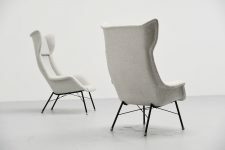 Superb shaped comfortable chairs.